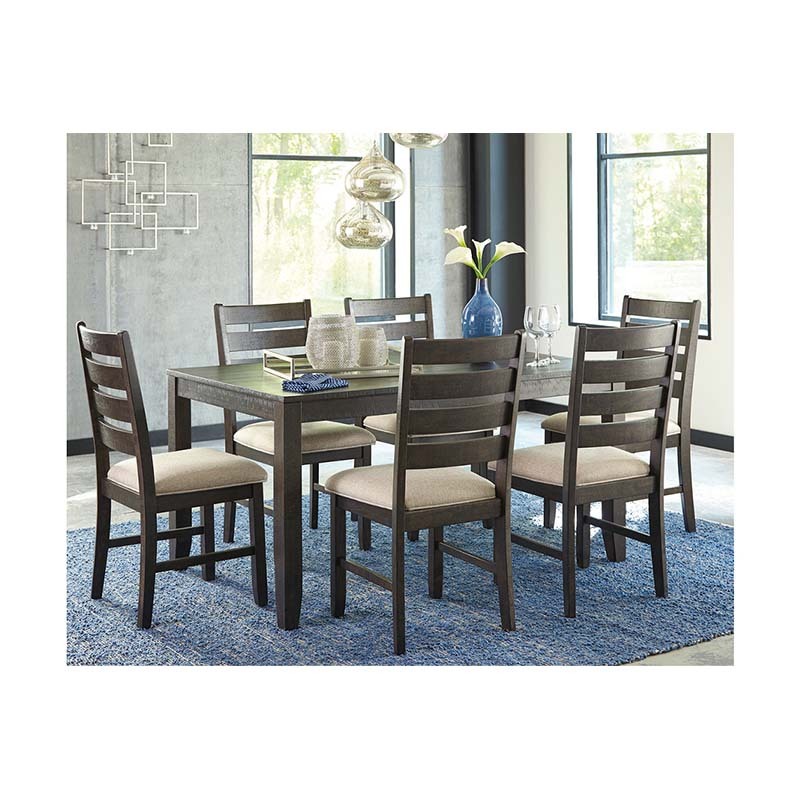 The Ashley Rokane 7-Piece Dining Set checks off so many boxes-it's welcoming, it's warm and it has a hint of weathered charm! This relaxed, contemporary collection has a clean profile and each chair is sumptuously upholstered and cushioned for your comfort. Set includes 1 table and 6 chairs.